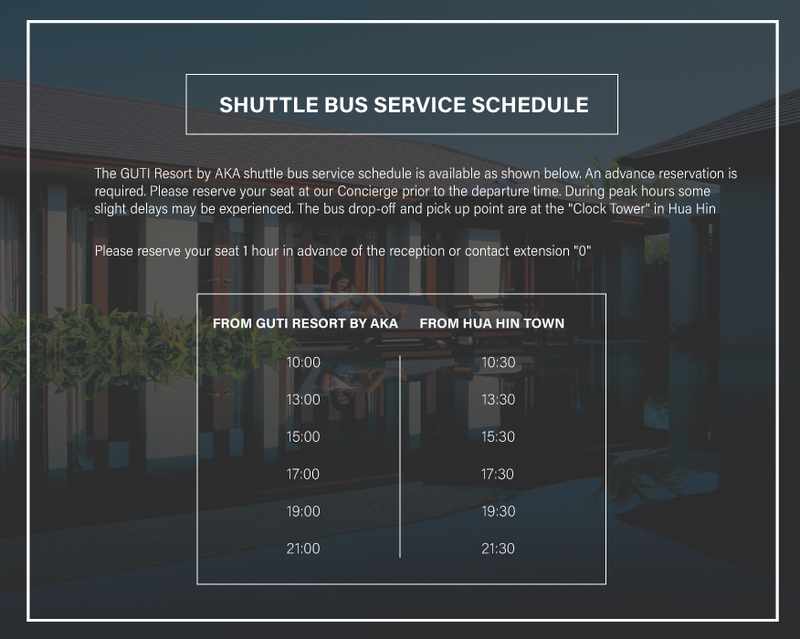 GUTI Resort by AKA is a luxury monastery styled retreat, sheltered by mountains with a panoramic view of Hua Hin countryside. GUTI Resort is a sister property of AKA Resort, also designed by the architect of luxury five star internationally acclaimed spa resorts as voted by Conde Naste. Its design is tropical elegance, blending traditional Thai and monastery styled architecture. GUTI Resort by AKA is an ultimate retreat with tranquility and unique ambiance within 5 minutes from AKA Resort. The AKA Resorts was inspired by an ancient hilltribe known as the AKA. The AKA originated in the Tibetan Highlands and Yunnan in China and have over the years migrated to various countries including Northern Thailand. The AKA are a deeply spiritual people with a desire for simplicity and continuity pervading their daily lives. The AKA are known for their extraordinary costumes and exotic appearance. courtyards, sala roof gardens overlooking panoramic countryside vistas. A retreat, an oasis of calm, a refuge from modern city life, GUTI Resort by AKA offers its guests a unique opportunity to relax, unwind and rejuvenate.